Sabrina Jandreau scores 3 goals to give Raiders the victory. 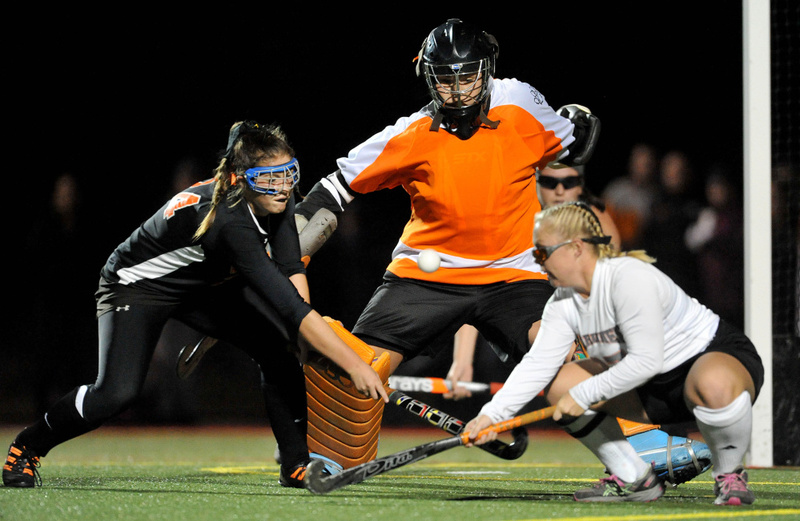 WATERVILLE — Just name the class and the Winslow field hockey team will rise to the occasion. 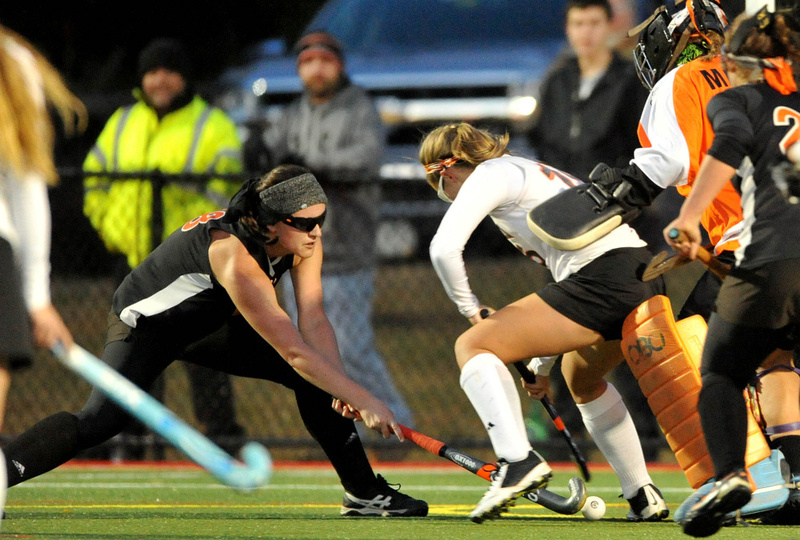 A year after winning the Class C state championship, the Black Raiders have a chance to do the same thing in Class B following Friday night’s 3-1 win over Gardiner in the Class B North regional title game at Thomas College. 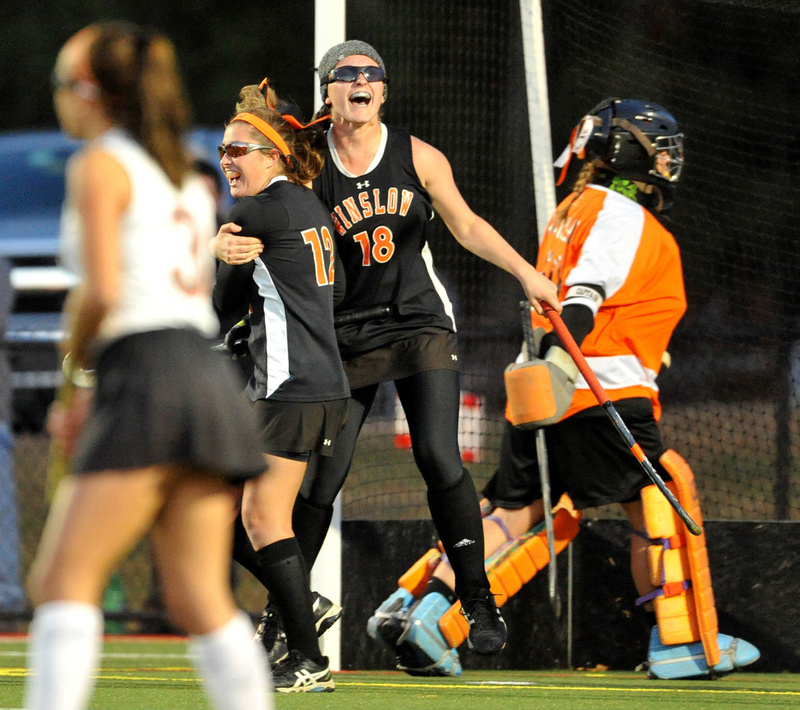 Winslow (13-3-1) will face unbeaten defending state champion York for the Class B title Saturday at the University of Maine. Top-seeded Gardiner finishes 14-3-0. Winslow senior Sabrina Jandreau scored all three of her team’s goals in the first half, the first a hard shot and the other two on tips-in. 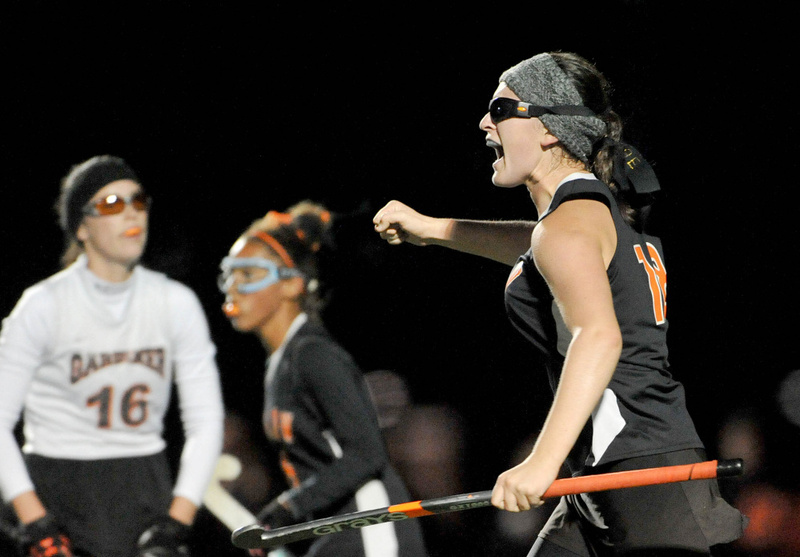 The hat trick bettered her season total by one coming into the game. 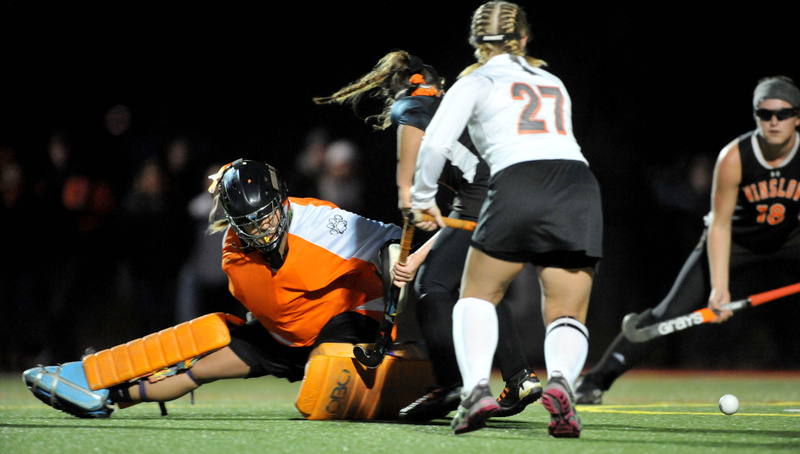 The Tigers opened the scoring 4 minutes, 45 seconds into the game when freshman Amanda Cameron tipped Maddy Beaulieu’s shot in midair past goalie Delaney Wood. 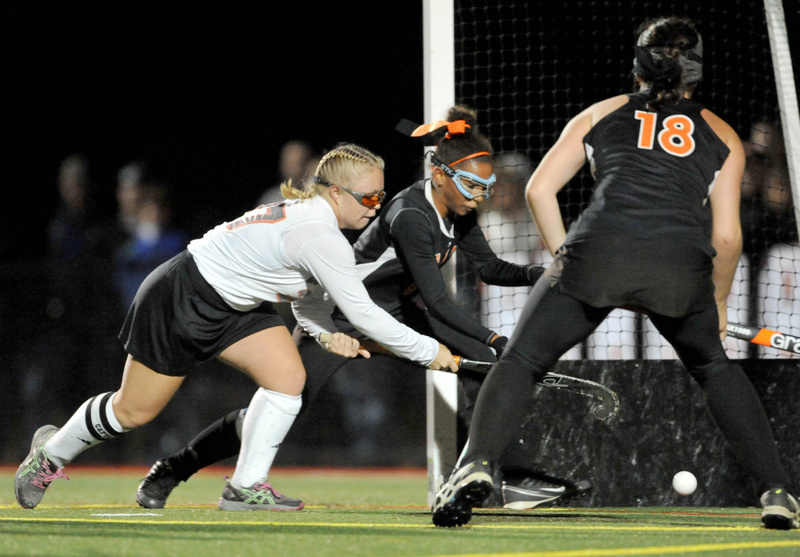 The Raiders answered just 25 seconds later when Jandreau drilled a hard shot past goalie Kaylin Mansir. Two minutes later Jandreau struck again, this time tipping Greeley’s hard drive into the cage. “We’re just trying to make it into that circle so someone can tip it in and score, Greeley said. 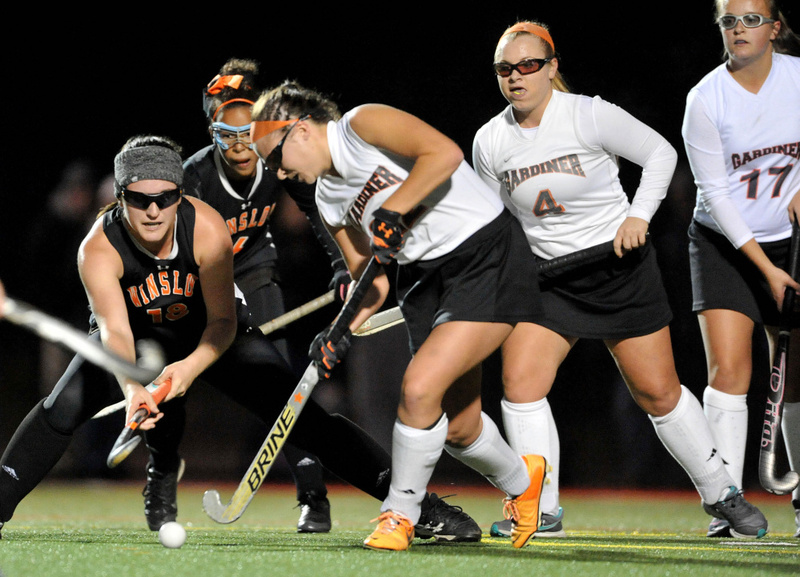 The Raiders continued to storm the Tigers’ end of the field, getting six penalty corners and nine shots on goal in the first half. Jandreau, who puts the ball in play on corners, tipped in yet another shot by Greeley with 1:44 left to make it 3-1. The Tigers regrouped nicely at the half despite losing Beaulieu, their senior midfielder, to injury with 27 seconds left in the half. “We did change a couple of things and tried to do a few things differently as far as defensive matchups as well,” Gardiner coach Sharon Gallant said. The Tigers controlled play in the second half, getting five penalty corners to none for the Raiders but only out-shot them 3-2, thanks to some tough defensive stops by backs Greeley, Weslee Littlefield and Ciera Poulin and sweeper Susan Grant. Senior midfielder Miranda Gagne was assigned the task of marking Gardiner’s Nickyia Lovely, who recently became the school’s all-time leading scorer. Lovely’s chances were limited and her best — a hard blast from the right side with eight minutes left — was kicked away by Wood.